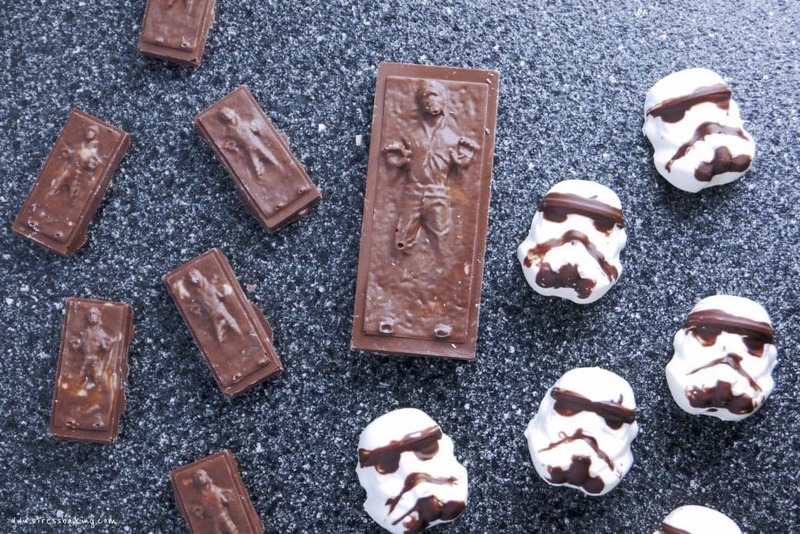 Celebrate Star Wars with White Chocolate Storm Troopers and Caramel-filled Dark Chocolate Han Solos (in Carbonite, no less)! The day that all Star Wars fans have been waiting for is here! If the force is not strong with you and you’re unaware, December 18th is the release date for Star Wars Episode VII: The Force Awakens. Nerds everywhere rejoice! I’m allowed to say that, because I’m one of them. 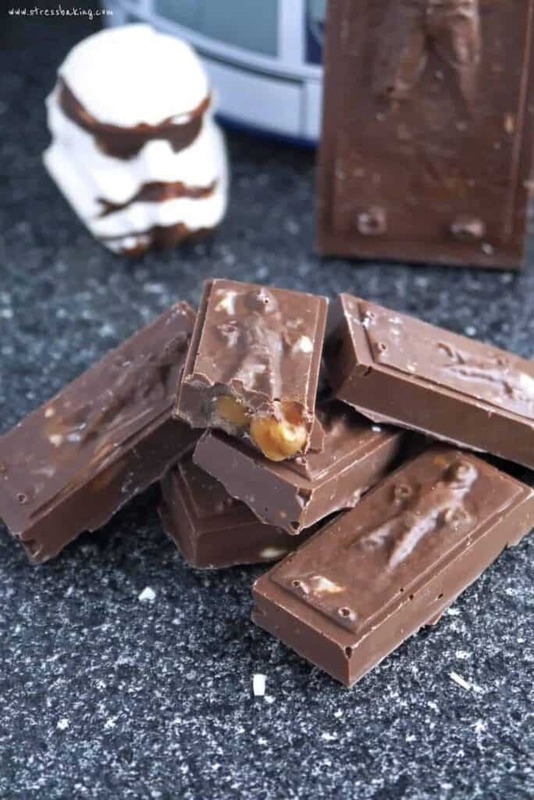 To commemorate the day I decided to make a batch of Star Wars candy – specifically, White Chocolate Storm Troopers and Caramel-filled Dark Chocolate Han Solos in Carbonite. I like to call them “perfectly imperfect”. It was late, I’d had a few bottles glasses of wine, and I was running dangerously low on supplies. Plus, I was jittery with excitement about the movie release. Isn’t making Star Wars candy at 2AM what everyone does on a Thursday night? Did you know that Han Solo doesn’t bleed, he actually oozes caramel? Well, now you do. Second only to ice cream, he’s the most delicious “frozen” treat in my house. 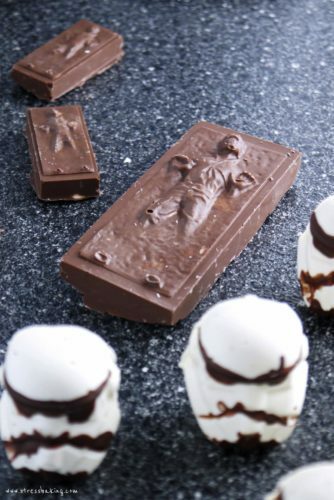 Side note: If you’re looking for these molds, I found these silicone Star Wars molds on Amazon . How are you going to celebrate the Star Wars movie release? Tell me in the comments, or tag me on Instagram so I can live vicariously through all of your celebrations! 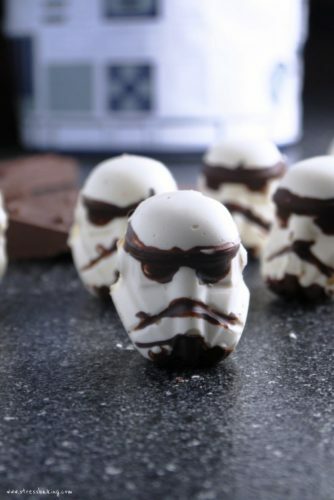 Melting chocolate wafers (any kind/colors you’d like) – I recommend white chocolate for the Storm Troopers! 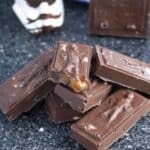 Melt chocolate wafers according to the instructions and pour into molds. 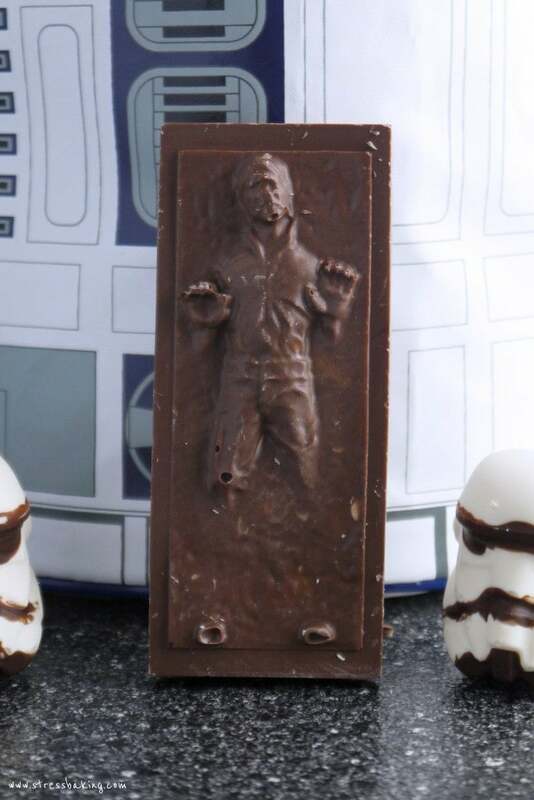 If you want to decorate faces and other details, just use a toothpick or a small (clean and food safe) paintbrush to color in what you’d like on the inside of each mold with your desired chocolate/sprinkles/etc. first before pouring in the rest of the chocolate. 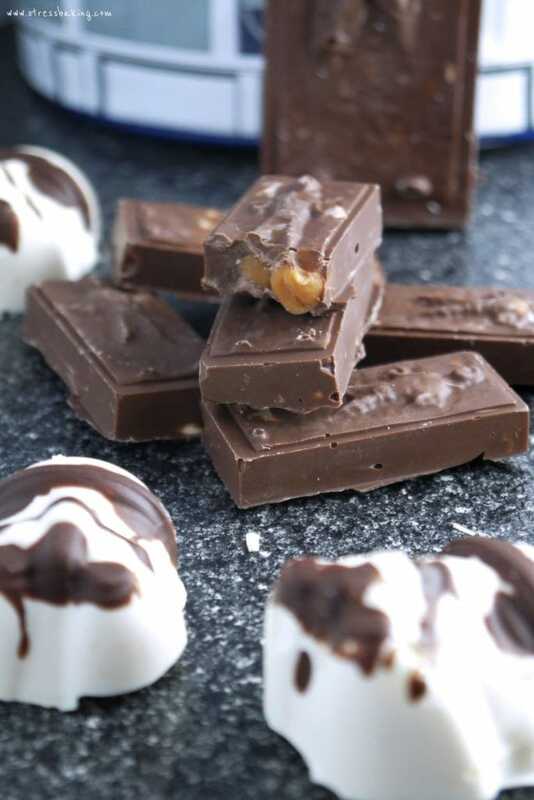 Place in fridge to let them set completely, at least 2 hours.